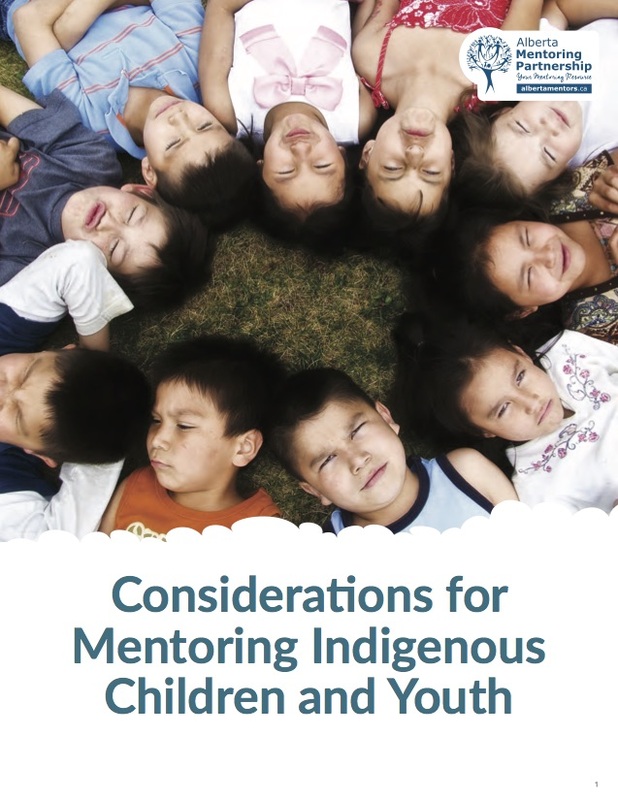 The following Considerations for Mentoring within Indigenous Communities are a supplementary resource to support primarily non- Indigenous organizations that strive to develop and deliver quality mentoring programs for and with children, youth, and families of Indigenous descent. They are based on research and the combined expertise of those who are already engaged in this important work. Mentoring a Unique or Diverse Population? If you are working with a unique or diverse community please supplement these steps with the tools and resources included in the sections below. These additional tools have been developed to support mentoring programs with immigrant, refugee, Indigenous youth and youth in care. There are many things to think about as you begin to develop a mentoring program and a process for mentoring. Taking initial time to carefully build relationships, moving with intention to understand the community, and exploring promising practices and existing successes will help lay the foundation that addresses specific needs and strengths within the community. Below are a number of concepts you will want to consider as you begin to build a mentoring program with Indigenous communities. Before you move ahead to design and implement a program using the tools and resources provided on the AMP website, it is important to clearly identify the who, the what, and the where. Use the questions attached (in Consideration 2) to connect with individuals within the community and other agencies to learn about collective strengths to help you foster and facilitate a culturally responsive and community engaged mentoring program and process. The size of your team will depend on the size and scope of your program and availability of resources. It is suggested you have a program co-ordinator; larger programs may need more than one co-ordinator. Some programs have one paid staff person and designate other program responsibilities to a team of committed volunteers, advisory committee members, or in the case of school-based or supported programs, a teacher, guidance counsellor, or liaison worker. Whenever possible, hire a program co-ordinator who has the skills required and is from an Indigenous community. When this is not possible, hire a co-ordinator who has experience working with Indigenous communities or who is well respected and connected to the community. Start with the conventional mentor program co-ordinator job description, and modify it to include the unique requirements of your program. You may want to create some sort of advisory committee (formal or informal) to help you engage with the Indigenous community and offer guidance as you proceed. This is an important step in the beginning of the process, not in the middle or after programming has already commenced. This committee should include appropriate representation from the Indigenous community and at least one Elder or Traditional Knowledge Keeper if possible. In Consideration 3, we provide some tips to create an inclusive advisory committee. To be successful, an inclusive advisory committee must do more than just bringing diverse people around the table. The committee must have a willingness to listen and collaborate respectfully and responsively in the best interests of children, youth, and their families. Indigenous youth and their families contribute to the rich diversity in Canada, yet there is limited understanding of their experiences of belonging and identity making and how this might influence and shape prospective programming initiatives. According to projections released by Statistics Canada (Morency et al., 2015), “The population who reported an Aboriginal identity [will] continue to grow faster than the non-Aboriginal population from 2011 to 2036” (p. 13). Additionally, research findings project that the Aboriginal population in Canada, estimated at 1,502,000 in 2011, could increase to between 1,965,000 and 2,633,000 by 2036 under the projection scenarios developed for this report. The average annual growth rate of the Aboriginal population is significantly higher than that of the non-Aboriginal population. In Consideration 4, we present research related to the Circle of Courage (Brendtro, Brokenleg & Bockern, 1992, 2005; Brokenleg, 1998) and the importance of attending to the diverse and complex lives of children, youth, and their families (Chung, 2016; Lessard, Clandinin & Caine, 2015). In any program, it is critical to foster safe spaces where Indigenous youth, children, and families know they belong (Chung, 2016). Individuals and communities are diverse and may identify themselves in different ways. For example, an Indigenous person may identify themselves (who they are) in terms of where they are from (location), their history, cultural background, or language. In Consideration 5, we present key understandings and historical factors that have shaped—and continue to shape—the different definitions and terminology related to how Indigenous people might identify themselves. We also recognize that the definitions and terminology cannot truly capture the diversity, the complexity, and the contested history that has largely shaped and continues to shape Indigenous communities. These terms are meant to build understandings and open more inclusive and respectful dialogue with Indigenous partners and communities. As well, we share the importance of acknowledging not only the First Peoples of Canada, but also the land and territory in which we work and live, and with which we connect. These suggestions in the toolkit are meant to build on conventional strategies to recruit and retain mentors, particularly those of Indigenous descent. The tips for recruitment include unique considerations in efforts to attract and sustain Indigenous volunteers within programs. It is important that appropriate training and rigorous safety precautions are in place for all mentoring programs. Refer to AMP’s screening guidelines for both mentors and mentees as the basis for your screening processes. In Consideration 7, we include practical resources as well as suggestions on how you might modify mainstream processes so the training and screening processes are tailored and appropriate for the mentors and mentees in your program and community. There is growing research emphasizing the importance of providing appropriate and sensitive closure to the early ending of relationships between a mentee and mentor. It is important to also pay attention to the expectations mentees and mentors have from each other and bring to the mentoring relationship. In Consideration 8, we discuss the importance of creating a plan and process with your advisory group for closing matches, along with the importance of providing ongoing support for both mentees and mentors. Mentoring can look very different depending on several factors such as whether you are an individual, a school, or a larger organization, and where you are located. For example, you may be an individual interested in mentoring a child or youth, or working with a family in an after-school program; a small rural community school aiming to have Indigenous youth mentor other youth; or a larger organization with more resources that can implement a larger-scale mentoring program within the community. In Consideration 9, we provide real examples of mentoring programs currently serving Indigenous communities across Alberta. We created this document through our many partnerships and conversations with individuals who are also passionate about this work. These mentoring partners provide testimonies of children, youth, educators, and mentoring co-ordinators, as well as detailed descriptions of their programs. Honouring and providing the time and space for intergenerational teachings is essential in any mentoring program specifically with and for Indigenous children and youth. Elders and Traditional Knowledge Keepers play a critical role, and should be welcome and included throughout the planning process. Whenever possible, seek their guidance and involve them in the program planning and activities, not just at events or year-end celebrations. Each community will have specific protocols for interacting with Elders and Traditional Knowledge Keepers. The guidelines that are attached are relatively generic and should be supported by specific information from the community you are working with, as the community is the strongest guide. In Consideration 10, we include additional ideas and resources for engaging Elders and Traditional Knowledge Keepers within your program. Children and youth across all communities in the province need support from adults as they grow. Indigenous communities have unique mentorship needs. 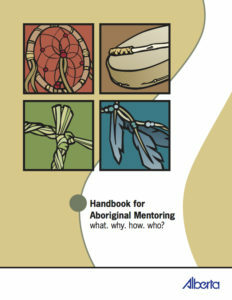 Learn about the what, why, how and who are involved in an Indigenous Mentoring Program in the Handbook for Aboriginal Mentoring from 2007.